Frank Aum currently serves as Senior Expert on North Korea at the U.S. Institute of Peace in Washington, DC. He was also a Visiting Scholar in the U.S.-Korea Institute at Johns Hopkins University's School of Advanced International Studies. 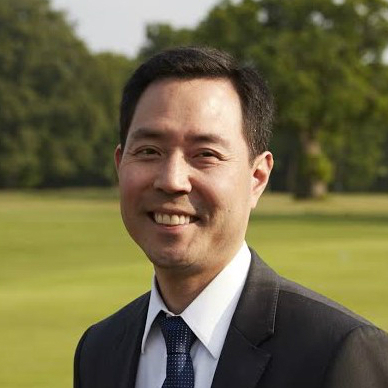 He previously worked as a political appointee in the Obama administration from 2010-2017, serving as the Senior Advisor for North Korea in the Office of the Secretary of Defense. During this time, he advised four Secretaries of Defense on issues related to Northeast Asia and the Korean Peninsula, including North Korea policy, defense posture, counter-missile capabilities, missile defense, military exercises, contingency planning, and POW/MIA remains recovery. Frank also served as head of delegation for working level negotiations in Seoul with the Republic of Korea (ROK), spearheading coordination of bilateral agreement on a range of key strategic issues, including the ROK's Revised Missile Guidelines and the transition of wartime operational control. In 2017, he received the Secretary of Defense Medal for Outstanding Public Service. Frank received his B.A. from Dartmouth College, his M.P.P. from Harvard University's Kennedy School of Government, and his J.D. from the University of California, Berkeley.